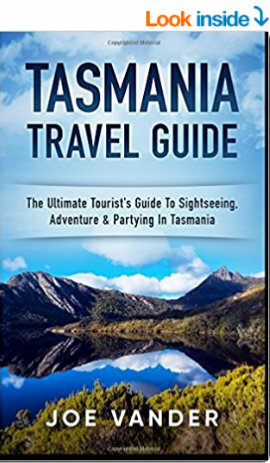 It continually amazes me that Hobart manages to draw all the attention when it comes to Tasmanian travel. Yes, the city boasts the famous Salamanca Market, but try finding a parking spot on a Saturday morning and navigating around the masses of people. Yes, it may have Mt. Wellington, but take it from me that it is often bloody cold and windy up there! And yes, Hobart can claim the eccentricity and shock value that encapsulates MONA, but not everyone considers walls of genitalia to be an attraction. Launceston on the other hand is a hidden gem located in the state’s north that has only recently begun gaining the attention it deserves. As one of Australia’s oldest cities, Launceston oozes historical charm, but blends it harmoniously with modern style and technology. Even a trip to the local post office becomes a treat. 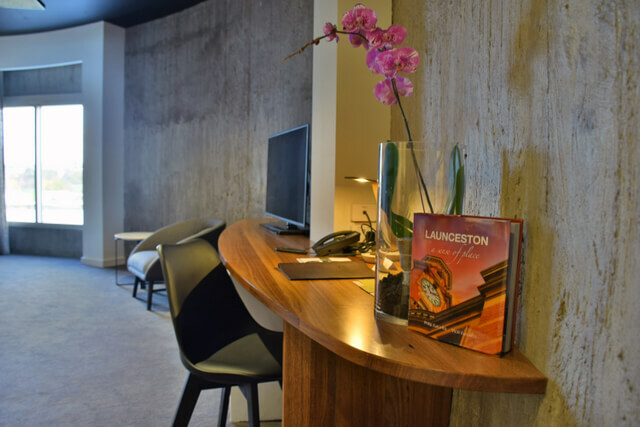 Bringing history alive is central to Launceton’s identity, and the recent launch of Pepper’s Silo Hotel is a great example of this. 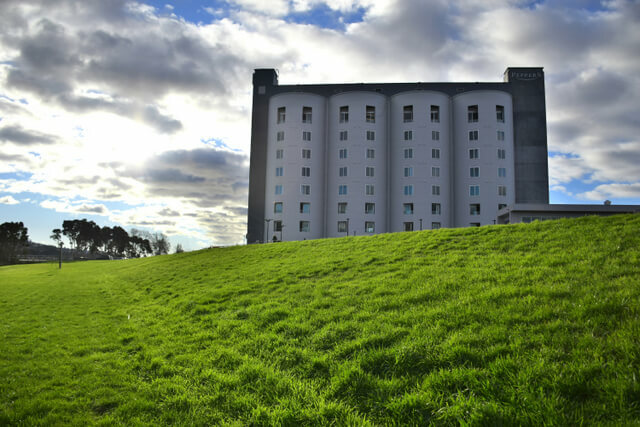 A luxury hotel on the banks of the scenic Tamar River, the Mantra Group has converted the Kings Wharf grain silos into a work of accommodation art, while keeping the character and heritage of an iconic 1960’s landmark. Australian comedian Tom Gleeson may have recently poked fun at Launceston, telling people to stay away, but this was most likely a plot to keep the city a hidden secret. Eventually, however, Launceston is bound to draw the attention of tourists worldwide, especially once word gets out that the Kings Warf grain silos are now exceedingly luxurious. The tourism industry has seen an explosion of interest in luxury heritage hotels, so just what makes Pepper’s Silo hotel so unique? The hotel’s most obvious feature is the fact it has been built within grain silos that date back to the 1960’s. Rather than gutting the structure and losing its heritage, the Mantra Group have managed to breathe new life into the building, and repurpose many of its elements. 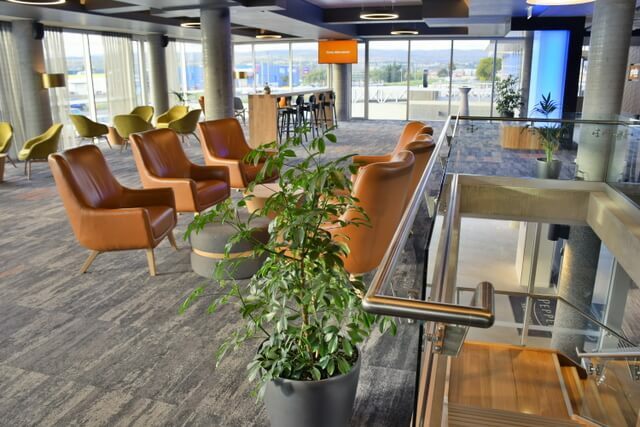 Woodwork around the hotel including furniture has been created using ironbark and stringybark recycled from the old wool sheds that once stood nearby. And the original steel of the structure has been converted into artwork to display historic images of the silos as well as the new hotel’s architectural plans. I have never stayed in a hotel that has managed to blend a historical structure with modern state of the art furnishings so well. As I relax in the ultra comfy king size bed, my eyes travel along the original cement circular interior. 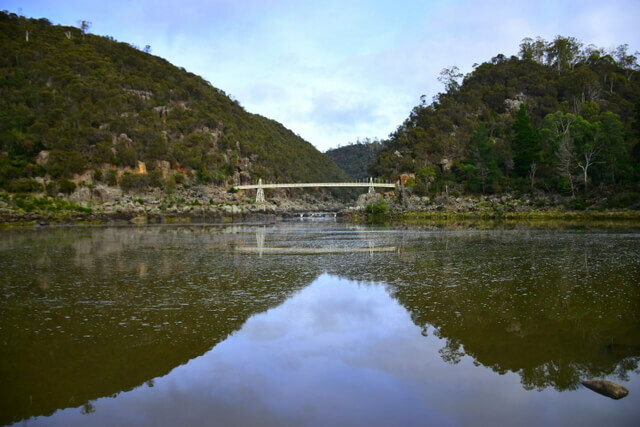 Exposed walls from the original structure lead to large windows overlooking the sparkling waters of the Tamar River and Cataract Gorge beyond. The furniture is modern, though the structure historic; somehow it just seems to work. Nearly half of the hotel’s 108 rooms are situated within the four 35m tall silos themselves while the remaining are located on the hotel’s newly built northern tower. Light streams into the room, with panoramic views of passing boats, egrets, and sea eagles. The interior design is plush; a chic and sophisticated color scheme that adds warmth to the grey cement of the original silos. Decoration of each room has been inspired by the surrounding region where tranquil waters meet the rugged earth and native flora provide a peaceful vista. 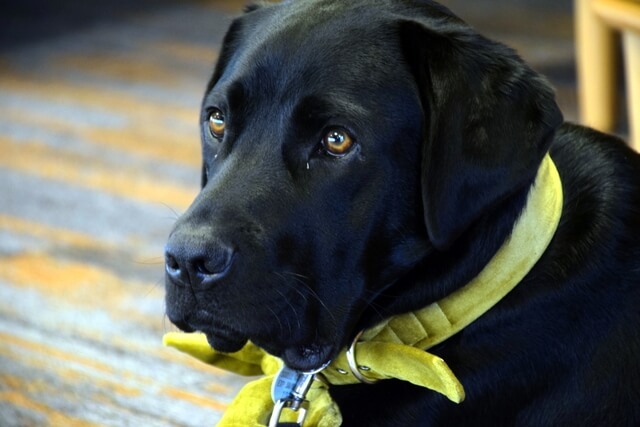 Upon check-in, you are not only greeted with freshly baked brownies and freshly squeezed juice, but also by the hotel’s mascot; an adorable 3 year old black lab named Archie. This sweet and lovable dog will make you wish your room won’t be ready so you have an excuse to spend more time with him in the lobby, though the staff are more than happy to allow guests to take him for a walk along the waterfront during your stay. Archie started his life training to be a Guide Dog. He has a great personality, however was a little too enthusiastic for this role, so was reclassified to a more suitable career, and now enjoys his days welcoming hotel guests. 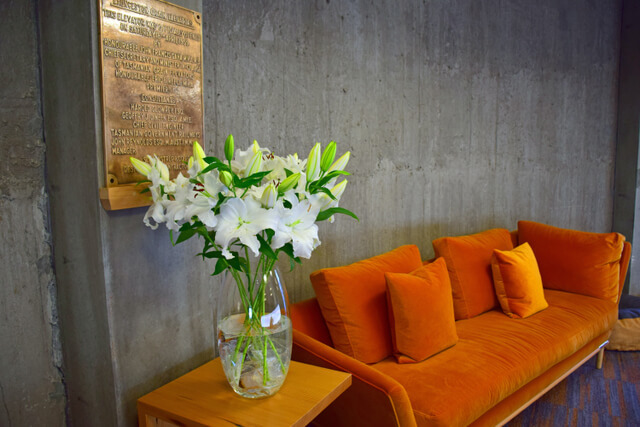 While the thought staying in a cement silo might typically conjure images of a place that is cold and perhaps unimaginative, Peppers Silo Hotel is anything but; a warm, friendly, and inviting atmosphere defines the hotel experience, from the greeting you receive upon check-in, to the constantly smiling staff. 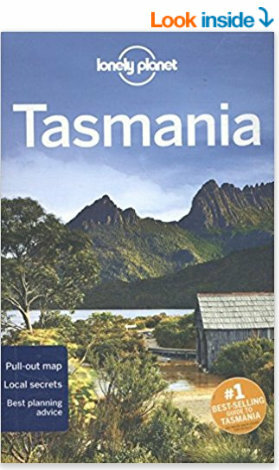 One thing that really draws tourism to Tasmania is the State’s reputation for Australia’s best local produce. 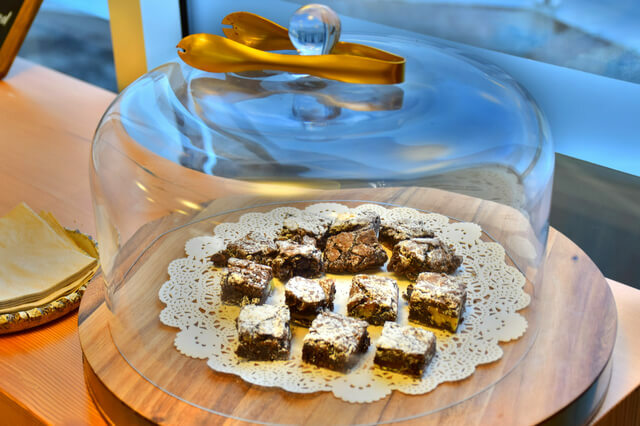 And the culinary experience at Peppers Silo Hotel won’t disappoint you. 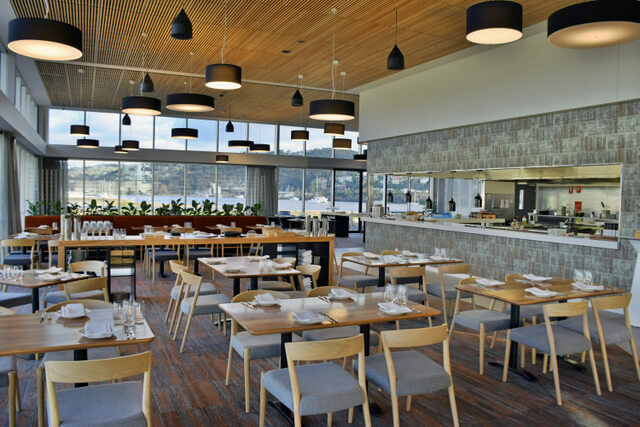 Local farmers supply the hotel’s Grain of the Silos Restaurant with fresh beef, lamb, and produce while the state’s coastal waters provide with the freshest seafood available. 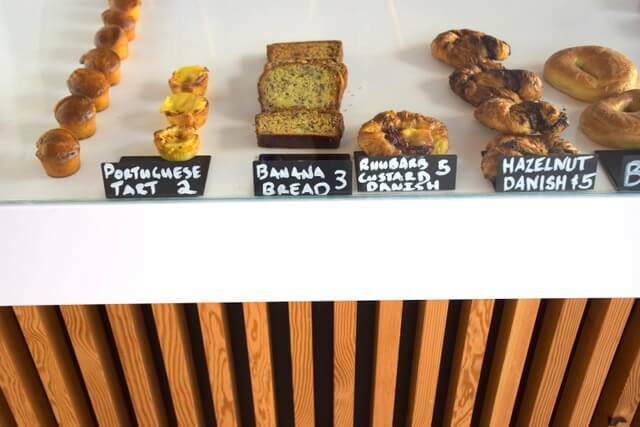 Even the coffee is sourced from locally roasted coffee beans. 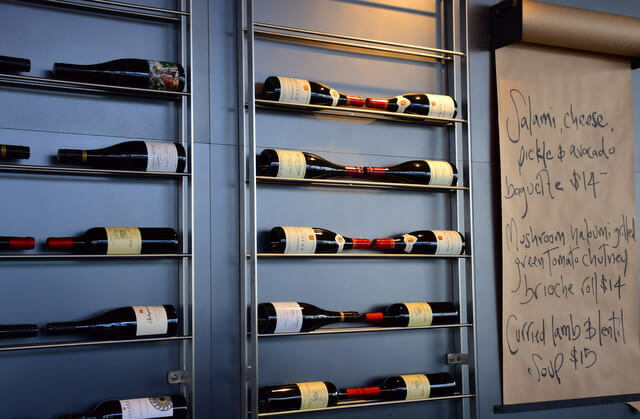 The restaurant hosts a hot buffet breakfast each morning, and then come evening, join Head Chef Peter Twitchett as he creates culinary masterpieces for his seasonal menu which he pairs with delicious Tasmanian wines. The warm quail salad with pine nuts and almonds will have your tastebuds screaming for the main course, which in my case was the slow roasted lamb shoulder. Finish it off with a caramelized apple tart tatin with walnut ice cream and you will understand why Tasmania is the perfect foodie destination. The Silo Hotel’s location sits just a short 10 minute walk from Launceston’s city centre, across a footbridge that was just in the final stages of construction when we stayed. A loop through the city had us admiring all the historical architecture including Chalmers Church, Customs House, Albert Hall, and the Clock Tower above what must have been the most beautiful post offices I have ever visited. 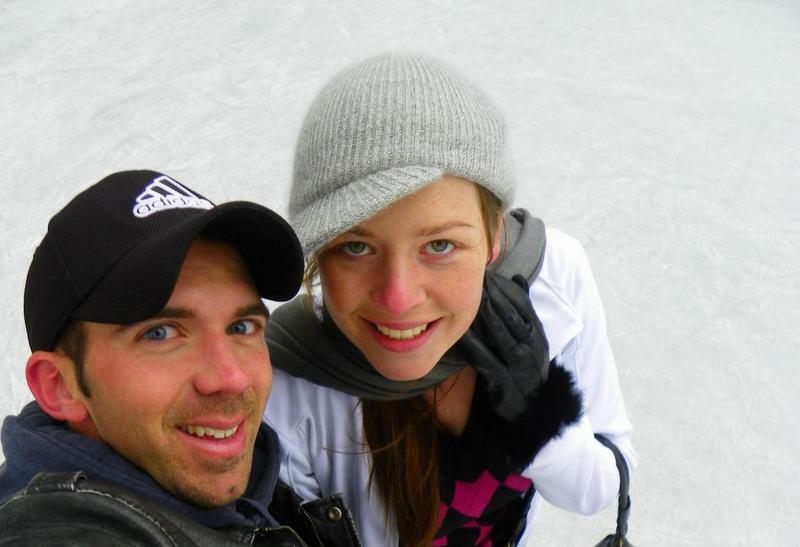 The following are some of Launceston’s attractions not to be missed. 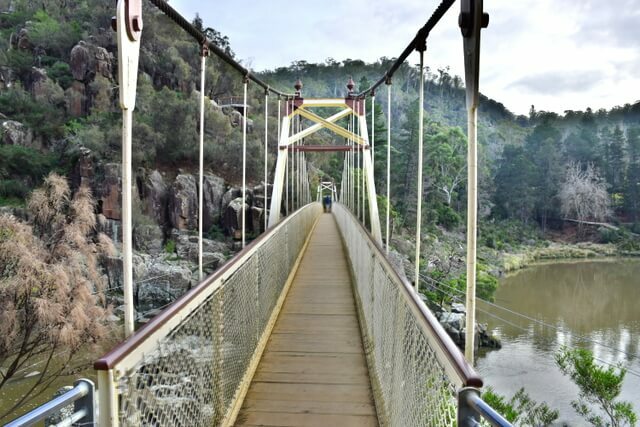 A favorite among Launceston locals, Cataract Gorge offers incredible natural beauty for bushwalking or simple strolls among native wildlife. A chairlift and suspension bridge allow you stunning elevated views of the waters flowing through the gorge. At the mouth of the gorge you will find Penny Royal which offers several cafes and restaurants, rock climbing, zip-lining, panning for gold, ghost tours, river cruises, and more. This small museum houses a wide variety of Tasmanian animal specimens including the extinct Tasmanian tiger as well as numerous Australian and Tasmanian historical artefacts. Discover the history of the thylacine and what led to its extinction. 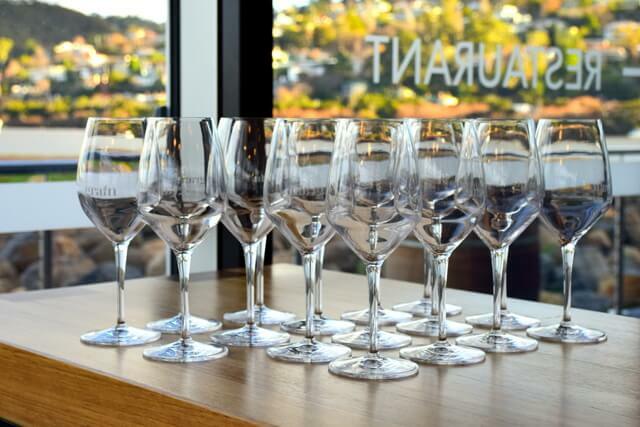 Drive along either side of the Tamar Valley to discover the Tamar Valley Wine Route, one of the Top 10 Wine Routes in the world and home to some of Australia’s finest wines. Check out the Low Head Lighthouse, the third lighthouse to be constructed in Australia as well as Australia’s oldest continuously used pilot station. Seek out Tasmanian devils, kangaroos, and wombats in Narawntapu National Park, hold a seahorse and learn about sea life from the Southern Ocean at Seahorse World, get up close and personal with a platypus at Platypus House, or get lost in more history at the Beaconsfield Mine & Heritage Centre. 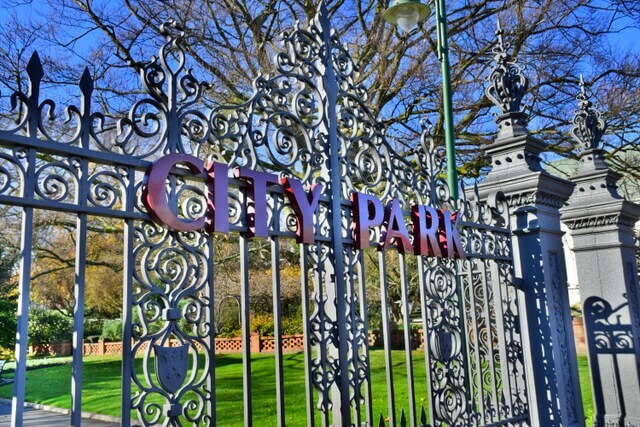 This picturesque park established in the 1820s is another local favorite, and home to a wealth of attractions. 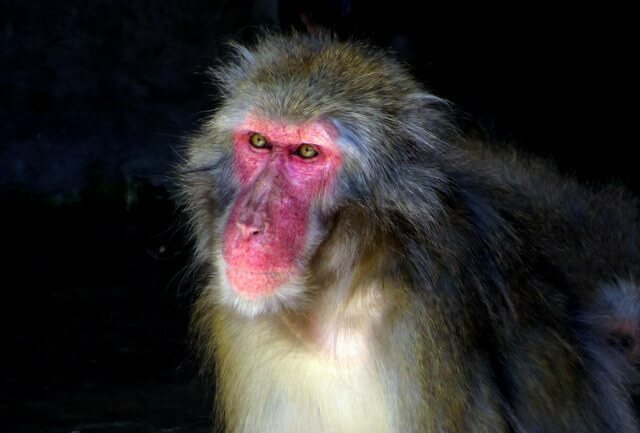 Visit the Albert Hall convention Centre, Tasmanian Design Centre, conservatory, children’s playground, and even adorable snow monkeys whose antics you could watch all day long. It has recently been announced the one of Australia’s largest music and art festivals, MONA FOMA will be relocating from Hobart to Launceston beginning next year when it makes its annual return in January. 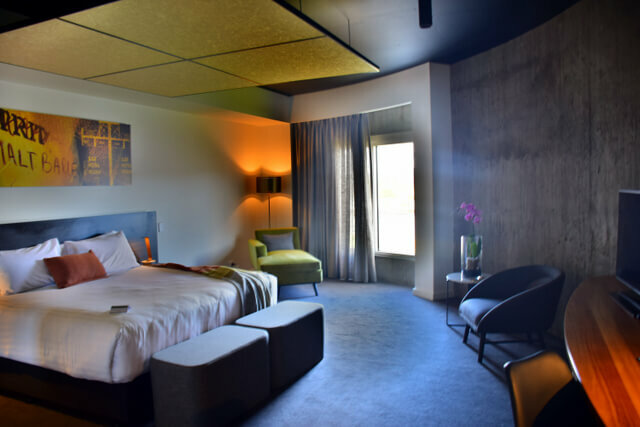 After a full day of exploring Launceston, return to Peppers Silo hotel and find sanctuary in Launceston’s newest Day Spa. Reflecting the natural beauty of the environment, Silo Day Spa treatments offer a return to your natural state. Experience luxurious treatments to elevate your body to new levels of relaxation and rejuvenation; matched with natural botanical products that are proudly Australian and cruelty free. The spa uses locally made Tasmanian essential oils and balms to immerse you in a sensory journey. The spa’s exclusive signature scent, “Serenity of the Silos”, is a soothing blend of Mandarin, Lavender and Rosewood essential oils. I booked in for their signature 60 minute serenity massage; I could have never imagined a silo could carry such an incredible scent! For more information about Peppers Silo Hotel in Launceston, or to check availability, visit peppers.com.au/silo. Peppers Silo Hotel has recently opened in Launceston, Tasmania: a luxury hotel in a 1960’s grain silo. 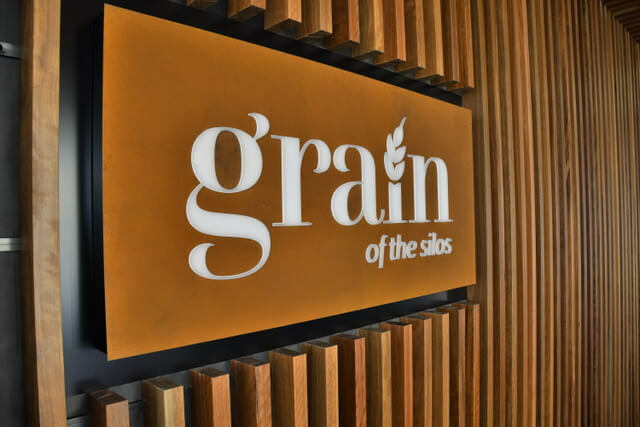 Love the “Grains of the Silo” restaurant moniker. It looks great. I did a sneak peak tour the day before they launched. Even half done it looked amazing. No that’s my biggest regret :( No Archie cuddles. When I come back in August/September I’m booking in a meeting with Archie! We have and it was fabulous. Dining in the restaurant was also amazing. We loved our Silo experience. Fabulous Andrea! So glad you also had an incredible stay! Stayed here too. The second time was even better! When my flight home was cancelled I didn’t hesitate to book another night at this hotel. It was a great place to relax and I made use of the spa, booking in for a massage and facial. The best thing about having to stay an extra night was being able to experience the best steak in Tasmania again at the Grain restaurant! 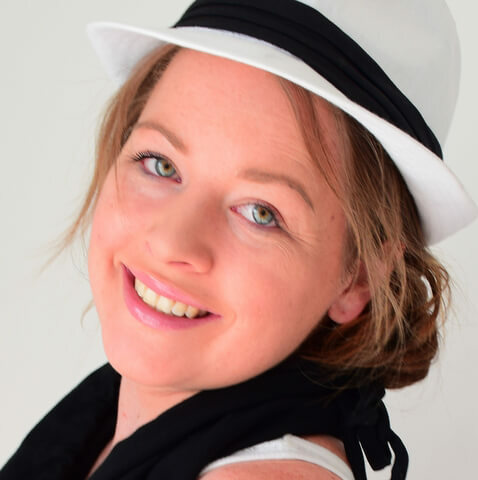 So glad to hear you had a fabulous stay too Tanya! We did 3 nights and I absolutely could have stayed longer – I don’t blame you for re-checking in!! The silo day spa was a highlight of my time, but you’re right, it does have tough competition with the restaurant and their steak! Does the silo hotel have disabled facilities? Hi Keith, absolutely, the hotel is very accessible with ramps, elevators, etc, and if you speak to the hotel staff before your stay they can run you through the different facilities and room types they have available. They’re super friendly and were happy to answer all questions when we were there. Hope you have a fabulous stay! Wow they’ve done a beautiful job of building the hotel! I’ve started to really try and avoid cookie cutter hotels, there are so many other cool places to stay out there, like this, that have so much cool character. The cookie cutter chains are a waste of accommodation money. 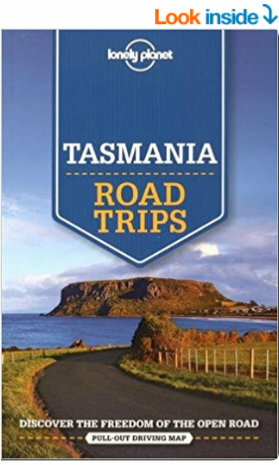 So cool that Tasmania has this! We actually have stayed in a Silo hotel before – there’s one in Cape Town too. 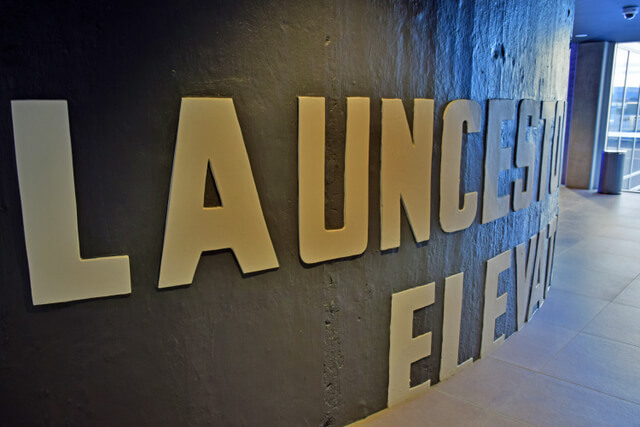 Also a former grain silo, the hotel is in what was the elevator, and they’ve turned it into a very chic space with knockout views of Cape Town. This Silo hotel looks beautiful too, on the water. Will have to make for silo stay number two sometime. Very cool Cathi, I’ll have to make a note for the next time we visit Cape Town. Sound great! I’m a local and wanted to see what it was finished like. The Finish is good quality and nicely laid out. 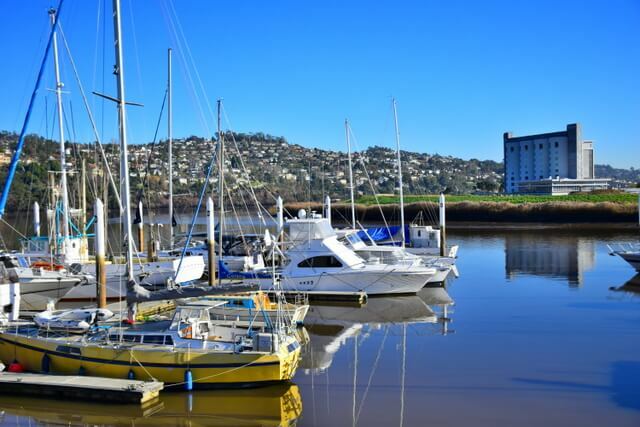 Everything looks perfect, what a great location for a hotel :) If you fly into Hobart and drive to Launceston I highly recommend going to through Richmond on your way through. We stumbled across it accidentally, but such a beautiful detuor. I couldn’t fault a thing, the hotel really does have everything set up perfectly! Great tip on Richmond, I whole heartedly agree, it’s stunning there. I followed your instagram story from this trip. It looks like an exciting vacation. Looks very stylish! How exciting that you got to see it brand new! Absolutely Melanie, they’ve done a great job with design. And yes, it was pretty special to think we were some of the first to stay in our room! Looks preppy magnificent!! Very clever idea for a hotel. Next time I’m in tassie I’m 100% booking in to stay here!! Is this Pepper’s connected to the Pepper’s in New Acton, Canberra? Archie looks like such a sweet pup! Whilst my view was over Bunnings and Officeworks shopping precinct I can imagine the view would be spectacular from the converted Silos side. 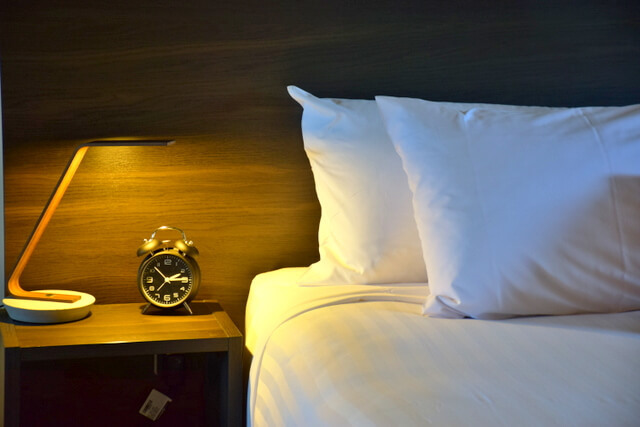 Did staying in a round room throw off your Feng Shui?